Cullinan Group Foundation (CGF) received Group Appreciation Award from the City of Stockton few days ago. To those who missed this event and for others who are not there to see it, let me walk you through this amazing experience. The event was held at Oak Park Senior Center located at 730 E. Fulton Street Stockton California December 4th at 5:15pm. Everyone arrived before 5 pm. As the Founder walk towards the event room, a door on the side opened. It was a bit dark. It was Joseph Amen the Program Director who said hello and mentioned her name. With that many people, it was nice to know he remembers a name. As you walk further towards the entrance, there you will see the big smile from Willy Razo’s face as he greets everyone that comes in. It’s been a long busy day but you can see in his face he loves what he does. As you walk towards any table of your choice you will realize all the tables are equally nice so any spot is a good spot. If you look around, the entire room gives you the warm holiday spirit and feeling that something very special is happening that night. The tables have cone-shaped Christmas tree full of glitter, candies spread on top along the table. Deciding which one to eat does not matter because they are all good. As you look at the center front you will see curtained stage with 2 long tables with signs indicating the name of each Commissioner that is going to be present. Gives you the feeling that something very special is happening that night. While everyone is waiting, on the left of those 2 long tables you will find presentations playing while on the right side the food, drinks, dessert is set. The room is filled with different size groups ranging from 1 to 30 per company. Ours happen to be the smallest by no choice because others have to be elsewhere for their own specific tasks. Everyone was fed before the actual event started. The Staff lined up to their own posts to put food on everyone’s plate. The line moved fast, everyone got good amount of food and there is plenty more for seconds and thirds. They did not rush into the event, they gave everyone enough time to finish their meal. As the night begins, the Commissioners come in to their own space. Introduction made by Deputy Director Adolfo Cruz, Aaron Edwards spoke briefly to start the process, the Admin Assistant (who represented the City well) called each of their name. Those that are in said “here”. Not sure what it is but the entire process of how they did it is impressive! Gives you the proud feeling that you are in America. As they call on each company/individual who is receiving the award, the Commissioners stood in front of their desk to get ready to shake the hand as each one on the list gets called on to the front. They look you in the eye and gives a nice hand shake as they thank you for helping the City. It was very nice for Leaders to take the time to appreciate anyone at all. We all do this without the expectation of being appreciated at all but to be given one the way they did, for sure they made everyone feel super appreciated and they make sure you don’t go hungry in the process by providing great food. Knowing a few of them outside this event, it is without a doubt that these people are not just there to give awards. They themselves are a true humanitarian not just because of their job but for other things they do outside work. They actually spend most of their time helping others beyond their call of duty and they have been doing so for at least over 12 years since the day I knew of them. Not sure if they still remember our Founder for those interactions are rare and far between but she would never forget the great things that took place then and now. Leaders like them is what makes this country great. They are a good example not just to the community but to the whole world. If every country is surrounded by people like these, the hope of better community will always exist. They too deserve recognition. Without all the Commissioners, Deputy Director Adolfo Cruz, Recreation Program Joseph Amen, Willy Razo Sr Recreation Assistant, their staff who catered to our food, and all that received recognition that night, the City will not have achieved having something good going for the people. Change truly is a 360 degree process. The City of Stockton is lucky to have such wonderful group of people in that room. 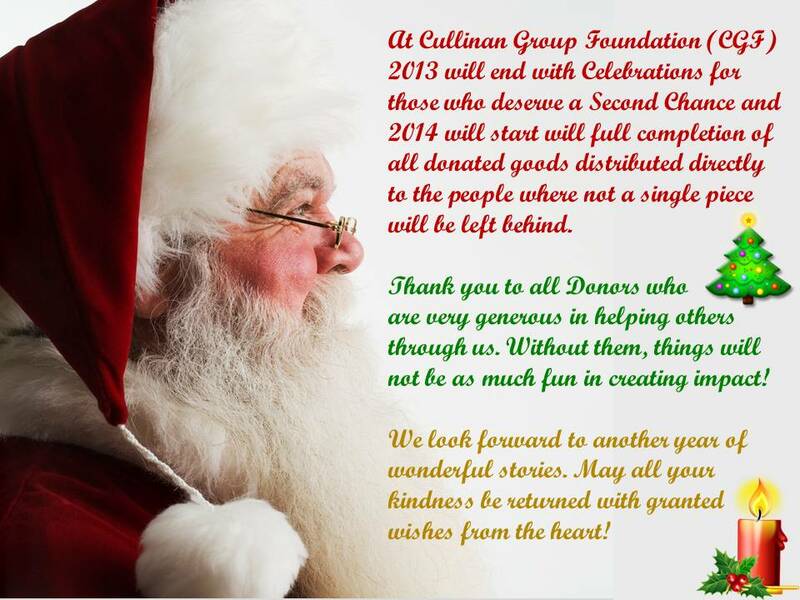 From everyone at Cullinan Group Foundation – we’d like to give our deepest gratitude for being part of that evening! It is a great experience and we look forward to working with you more in bringing great things for the people! To view photo and award click here.